COPYRIGHT 2009-1998. ALL RIGHTS RESERVED. Learn from the experts at Electric Hair! 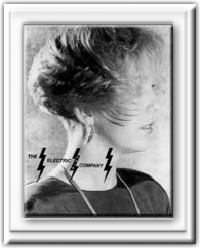 After 25 years in the hair care business, Bob Lewis and his Electric Hair Styling Team have performed shows all over the United States and North America. This in addition to more than 300 'hands-on cutting' workshops in Ohio and surrounding states. Be more efficient with your cutting. Not just a faster way to cut hair, but total systems to bring better value for the client and salon. Great solutions for the customer that doesn't have time for traditional salon services. Offer your customers more services in the time available. Quality service, all the way.